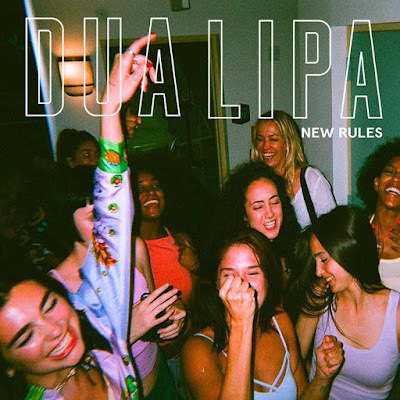 Dua Lipa's latest single New Rules climbs this week to the No. 1 spot of UK's Singles Chart! This becomes the first No. 1 by a female solo artist in almost two years, since Adele’s Hello claimed the top spot in October 2015. New Rules is also Dua's first No. 1 single! Congratulations! Dropping to No. 2 we have Calvin Harris' Feels, featuring Katy Perry, Pharrell and Big Sean, which knocked French Montana's Unforgettable, featuring Swae Lee, to No. 3! New Rules de Dua Lipa sobe esta semana para o #1 da tabela de singles mais vendidos no Reino Unido. Este torna-se no primeiro single #1 de uma artista a solo feminina em quase dois anos, desde que Hello de Adele ocupou o topo em Outubro de 2015! É também o primeiro single #1 para Dua! Parabéns! A descer para o #2 temos Feels de Calvin Harris com Katy Perry, Pharrell e Big Sean que derrubou Unforgettable de French Montana, com Swae Lee, para o #3!